After a Series A funding round led by technology venture capital fund Horizons Ventures, Divergent 3D is in the enviable position of having just received $23 million in investment funds. They state that they will be using this infusion of cash to commercialize their hardware/software platform, taking automotive manufacturing to the next level. Divergent 3D announced a partnership last year with engineering and R&D services leader Altran, which also invested in this round of funding. The two companies are collaborating to accelerate the licensing of Divergent 3D’s automotive manufacturing platform. Last year, Divergent 3D also unveiled their 3D printed motorcycle, the Dagger, and showed off the fantastic, futuristic 3D printed cars of the future at CES 2017, earlier this month. The innovative company has also forged a partnership with Paris automotive manufacturer PSA Group, looking forward to numerous other high-tech projects. Obviously proving their mettle already, it’s easy to see why companies would want to invest in Divergent 3D’s technology, which allows those manufacturing vehicles to do so much more affordably, and in an environmentally friendly manner. It’s a win all around as less capital is required, production costs are lower, and the result is 3D printed cars that are 50 percent lighter than conventional vehicles, and use less gas. Divergent 3D, while embracing all the benefits that 3D printing has to offer, places enormous emphasis on the importance of considering the environment while manufacturing, pointing out that electric vehicles are certainly not as friendly to the environment as many would like to think (check out the video below). Inspired by the momentum of 3D printing with metal within many industries today, the Divergent 3D team realized that for creating cars the technology could allow them to offer better safety, much higher performance, fuel efficiency, and all with less impact to the environment. Their plan is to work with other companies around the world who can take advantage of what their manufacturing platform has to offer, as they see the opportunity to change the processes not only in the way cars are made but with exponentially lower cost. Manufacturers may be able to avoid spending billions on factories and see the bottom line lowered to more conservative millions with equipment, printing, and assembling. Ultimately, the Divergent 3D team hopes to see production of more high-volume vehicles. Divergent 3D is headquartered in Los Angeles, now famous for their creation of the 3D printed ‘supercar,’ the Blade. 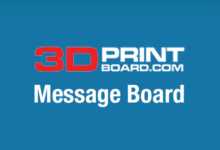 Discuss in the Divergent 3D forum at 3DPB.com.